Provided you connect a piezo speaker to your Arduino board, the tone Arduino function allows to play tones given their frequencies. Let's use it to play entire melodies! So for instance, a quarter-note C from the 5th octave is 4C5, and a eighth-note D sharp from the 4th octave is 2d4. After setting the melody, the function syncMelody() must be called on each quarter of a beat to play it at the chosen tempo. It does not wait by itself to allow some other processing between calls. The helper function pitch(unsigned int octave, unsigned char note) returns the frequency given an octave number and a note name. Lowercase note name is interpreted as sharp, and 0 is returned on a rest or on error. Note A from the 4th octave returns 440 Hz. For instance, here is a simple example playing the Tetris theme! 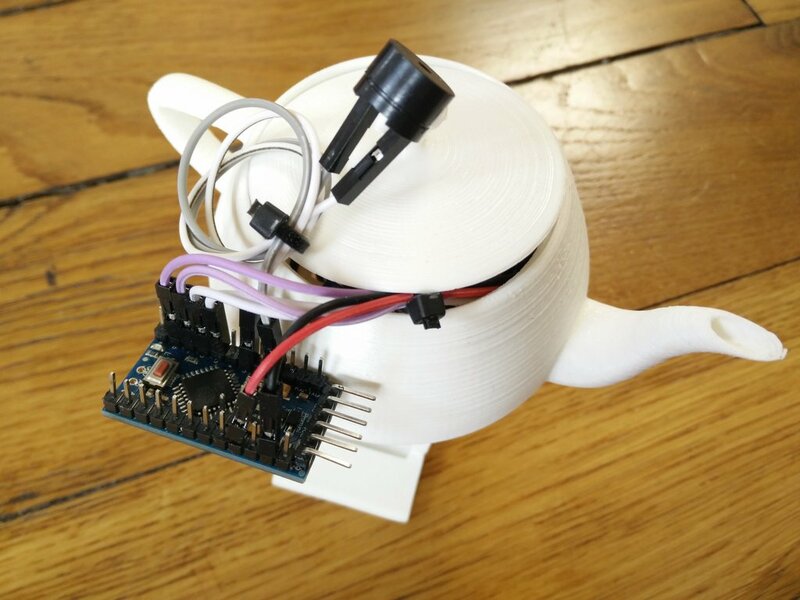 I can now upgrade my dancing teapot to have it play a melody while dancing! 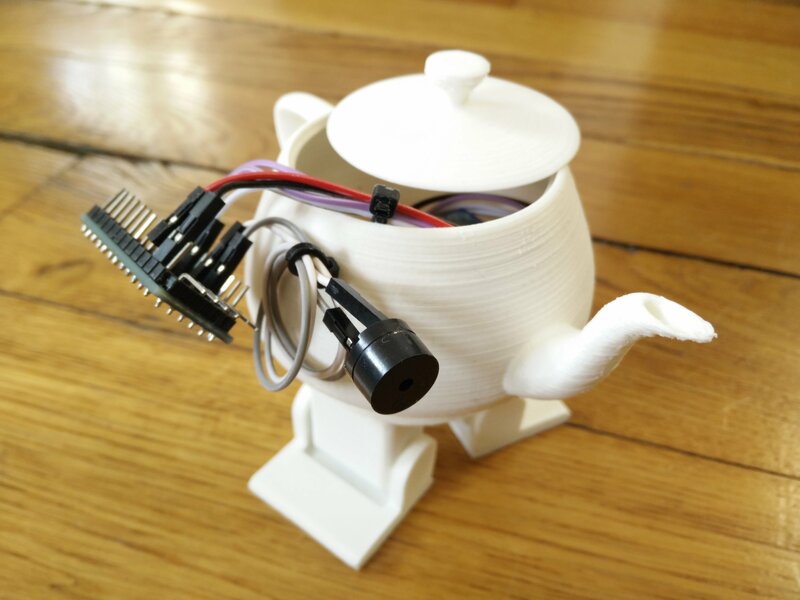 As a result, the teapot now dances and sings! You can find the upgraded source code under GPLv3 on my repository on GitHub.